– The client is resistant to being engaged. – The client is going to be difficult. – The client has no understanding of what rehabilitation can offer. When the referral is coming from an insurer, an employer or a regulatory authority where the request to “get the client engaged” is being made, I now stop and think: hang on, what’s going on that one of the KEY parties in the process is finding it difficult to engage a client in a process of recovery, rehabilitation and RTW? What can I do that’s different, useful and helpful to all parties involved? And this is where it’s important to have an understanding of what engagement is, and to know what engagement can offer a client, the insurer, the regulator and the employer. I think we have a problem in the occupational rehabilitation space, in that we think we know what engagement is – we certainly know what it feels like when it happening, because it is GOOD – but can we define it, can we explain it and can we create a pathway for engagement? Engagement is a process – not a switch that we can turn on and off. 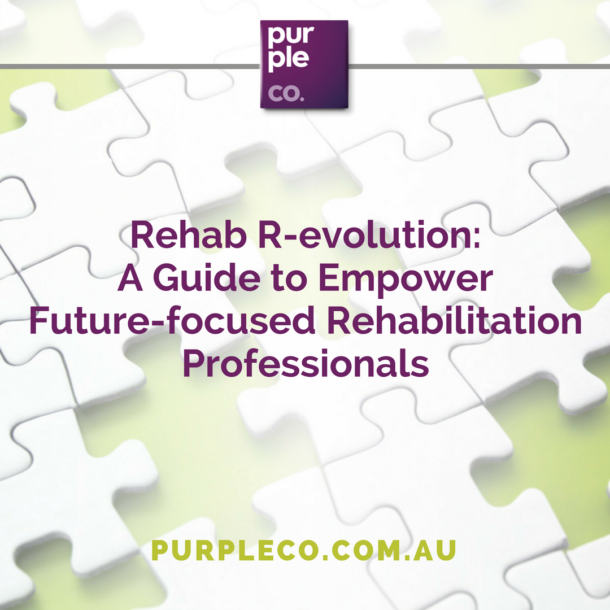 After all, when we spend all the time and effort to help a client understand how rehabilitation can help, often working with their treating health professionals to help them understand our role and how we can help. We use all of our motivational interviewing techniques and coaching skills to help the client, and their significant other, understand that we are there for the best interests of the rehabilitation process, and not just an extension of the insurer (who of course only wants to cut their benefits – myth to be busted) but we have something of value to offer, and that value is to help this client take back control of their life – ONCE we have the client engaged, that’s awesome – but our role in engagement doesn’t stop there. You see engagement isn’t a onetime thing that happens and then it says, is just as easy to help a client become disengaged as it is to become engaged. However, have you ever noticed that your definition, my definition, an insurance company representative’s definition and a client’s definition of being engaged is really different? And what about being “actively engaged”? – Less attrition of staff. – Grater scores in productivity. – Greater scores in customer satisfaction. I really loved the use of the word deliberate. I think that sums up how we know someone is engaged in the recovery, rehabilitation and RTW process: they are being deliberate in their beliefs, attitudes and behaviours. It now seems really easy, doesn’t it? Have you noticed that the clients who have experienced the greatest success are the ones who are the most engaged, and by most engaged I mean these are the people who are doing all of their treatment, who call you and chase you up for things, who want to know “what’s next” who are planning how they want to return to work, and who understand that we are a resource for them in this whole entire process? In short, they are being deliberate in their beliefs, attitudes and behaviours. That’s what active engagement looks like. It looks like the client wants to be here in the process with us. They have skin in the game. They know that they need to put in the work to get the results and they want the results. And this level of engagement is wonderful in the pre-return to work stages of the process. How then do we take this level of engagement and apply it to a workplace where there are new factors, new people, new opinions that matter, new corporate goals? Engagement for the rehabilitation professional requires us to have a working knowledge of the way engagement turns up in every part of the recovery, rehabilitation and RTW process. It also calls on us to understand and accept that it’s not just the client who needs to be engaged. Often clients need the “engagement” of their significant other, their treatment providers, their employers, their colleagues to support their own engagement. Have you ever noticed how precarious engagement of a client can be when there are other voices in their heads questioning why they are doing what they are doing? Having activity that is meaningful and has purpose where there is a reason to be doing something, including suitable duties, treatment activities, and pre-vocational activities. Making sure that clients understand the WHY of what we are recommending not just the “here’s what needs to be done” component. Making sure clients understand the “how” behind where we’re headed, not just the “what” of the next step. Having everyone agree to and be accountable for their actions and behaviours (everyone including us, the Rehabilitation Professional). Engagement is obviously multifaceted. Patient engagement isn’t enough for recovery, rehabilitation and RTW. Employee and workplace engagement isn’t the whole answer. We need to understand how we will take patient/client engagement into a workplace and then manage the new demands of engaging employees, supervisors, managers and others in a workplace. This is how you’re able to take back control of your life.